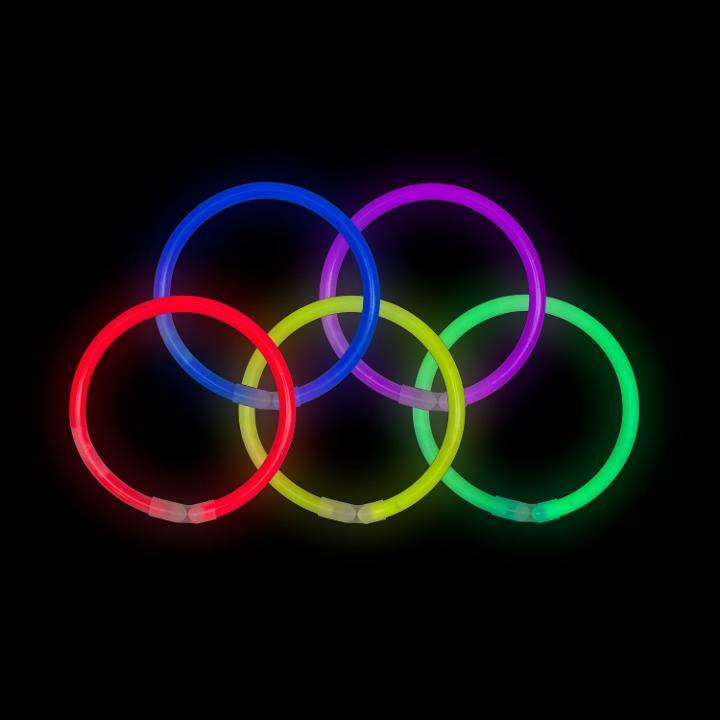 8 inch glow bracelets are a great way to dress up your event, fair, or festival! 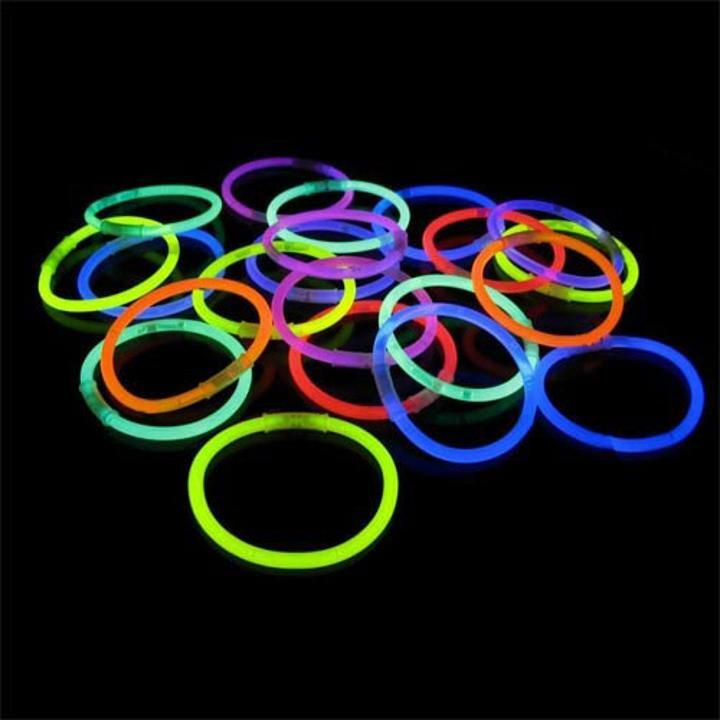 This package contains 50 8" neon assorted color glow bracelets. Each bracelet consists of a multi colored tube with a connector which forms a single bracelet when connected. Glow bracelets last approximately 6-12 hours. L: 11.0 in. W: 1.5 in. H: 1.5 in.